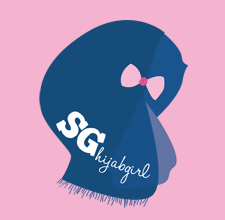 sghijabgirl by Nadya Abd: Mini OOTD: uhuhyouknowwhatitis! 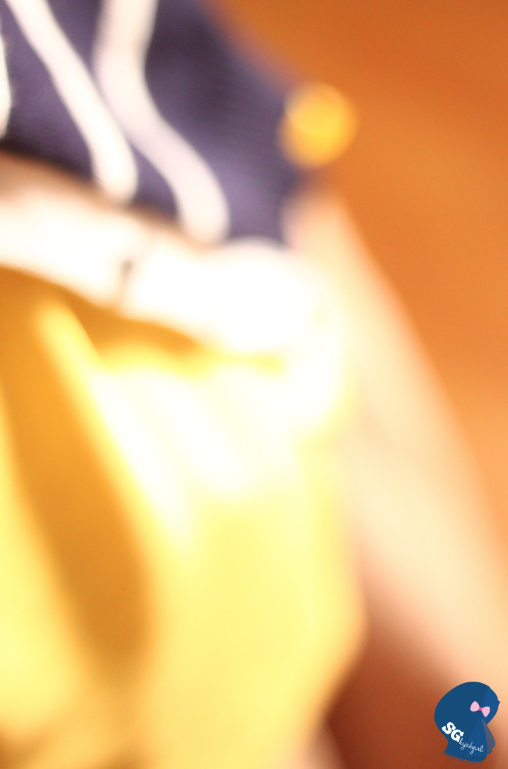 Blue and yellow! Mini OOTD: uhuhyouknowwhatitis! Blue and yellow! I'm trying to make it a habit to blog daily! Super tough but I can do this! Hehe! I shall call these entries my mini OOTD shots! Not much details but it helps me especially whenever I'm sitting in front of my wardrobe staring at alllllll my clothes. 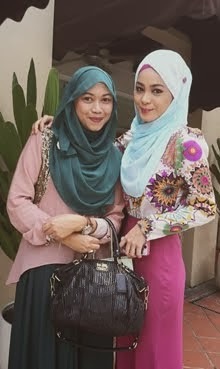 If you don't know, whenever I have no idea what to wear, I'll browse through my website and tada! Grab what I need and head to the ironing board! Easy peasy! I guess what made me started this site was basically so I could escape wasting time and immed know what are the possible outfits I can churn out from my wardrobe since I used to have so many 8.30 am classes! No time to play with colors or mix and match to see what goes well with what! None! I had to get ready asap and head to school! Also, I remember watching this TV show which later on got cancelled (sad), Privileged. The two siblings had this amayzingsuperawesome software called Oracle if I'm not wrong and it archived every single piece of clothing they have. So instead of combing through their wardrobe, all they had to do was to browse through the Oracle and choose their outfit. Don't try googling if the Oracle software exists, I've tried. Hahahhahaa! No such thing although if there was an app for that, I'm sure us girls won't mind having it ya. Hehe! Anyways, if you're on my Instagram, you'd know I'm doing a new mini giveaway! I bought so many sugar pots, I figured I don't need them all so I'm giving one away. It was so heartpain to decide which color should be given to you guys but alas, I decided on the lovely shade of green and kept the white, hot pink and blue one! Hehehehhehe! 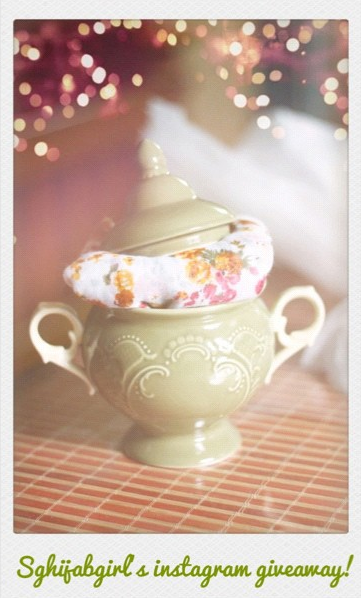 Up for grabs is a super sweet floral shawl & a lovely green sugar pot! 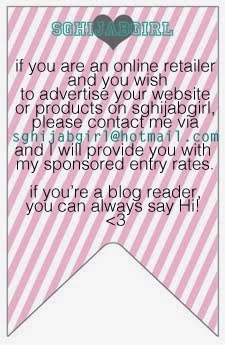 3) comment with #sghijabgirlgiveaway and your email! mini ootd, skincare & jewellery storage! 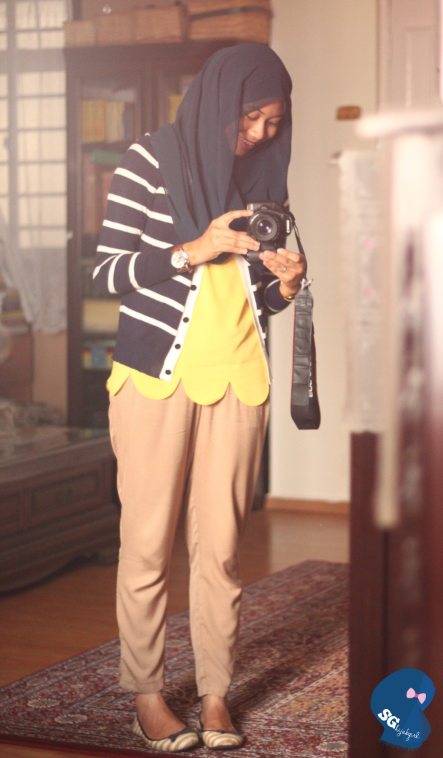 OOTD Last day of Syawal!